Why is Trump’s business arguing its properties are worth just a fraction of what Trump has claimed they are on his own financial disclosures? To save on taxes. President Donald Trump is famous for bragging about his net worth. Publicly, he claims he’s worth more than $10 billion. He even sued an author over the issue and lobbied the editors of Forbes about his ranking on their billionaires list. Yet quietly in another setting, the Trump Organization says the president’s holdings are worth far less than he has proclaimed. Across the country, the Trump Organization is suing local governments, claiming it owes much less in property taxes than government assessors say because its properties are worth much less than they’ve been valued at. In just one example, the company has asserted that its gleaming waterfront skyscraper in Chicago is worth less than than its assessed value, in part because its retail space is failing and worth less than nothing. 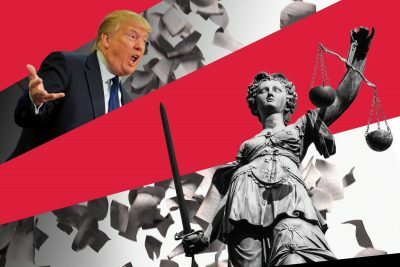 Since becoming president, Trump’s companies have filed at least nine new lawsuits against municipalities in Florida, New York and Illinois, arguing for lower tax bills, ProPublica has found. Some of those lawsuits have been previously reported. At stake is millions of dollars that communities use to fund roads, schools and police departments. Real estate owners dispute property taxes frequently, and some even sue. The president has a long track record of doing so himself. But experts are troubled that he’s doing so while in office. No president in modern times has owned a business involved in legal battles with local governments. “The idea that the president would have these interests and then those companies would sue localities is really a dangerous precedent,” says Larry Noble, of the nonpartisan Campaign Legal Center. The dynamic between local and federal governments is impossible to ignore in these cases, says Noble. Municipalities “rely on resources from the federal government and the federal government can make your life easier or much more difficult.” The concern arises because the president did not fully separate from his businesses, he says. Just north of New York City, the Trump Organization is fighting the town of Ossining. Set along the Hudson River 35 miles north of New York City, the suburban town is home to Trump National Westchester Golf Club. Trump bought the course in 1996 for $7.5 million and put in $40 million of renovations. The course includes a 75,000-square-foot clubhouse, a 101-foot man-made waterfall and a host of luxury condominiums overlooking the fairway. Trump said in presidential financial disclosures that this property is worth $50 million. Ossining currently assesses the property at only $15 million. Yet in legal filings, the Trump Organization claims $15 million is far too high. In 2015, the company said the property is worth only $1.4 million in a lawsuit filed against the Town of Ossining in Westchester County court. Municipalities almost always settle instead of taking such cases to expensive trials. But because of public outcry, the town decided not to settle this time. It is fighting this case and another related to a neighboring private golf course, which is not owned by Trump. The town of Ossining has a population of 38,000 an annual budget of $5.5 million. 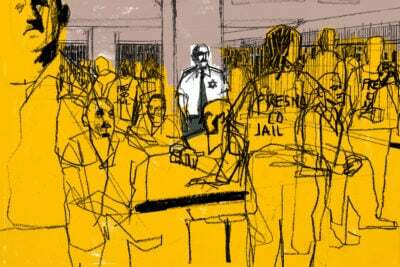 In order to fight, it’s bringing in expert assessors and outside lawyers — and it adds up. “When you have deep private pockets, it’s a lot easier to have staying power in these cases,” Levenberg says. Trump National Golf Club LLC, the subsidiary that owns the club, has filed lawsuits over property taxes each year since 2015. If the town loses, they’ll have to refund Trump National the difference between what it claimed was owed and the Trump Organization’s number — roughly $439,960 from 2015 alone. That will come out of school budgets and municipal funds. Briarcliff Schools, the district the course falls in, has put aside $2.8 million of their annual $51.4 million budget for future tax refunds. The town and a number of other municipal offices have set aside funds as well. In Chicago, the Trump Organization has embraced a notoriously unequal system of property assessment challenges to its own benefit. Set on prime riverfront downtown real estate, Trump International Hotel and Tower Chicago was born out of the first season of The Apprentice. Completed in 2008, it rises 92 stories and includes a hotel, condominiums and retail space. But in lawsuits filed against the Cook County treasurer's office, Trump’s lawyers call the building a “failed business,” and claim the riverfront commercial retail space is worthless. 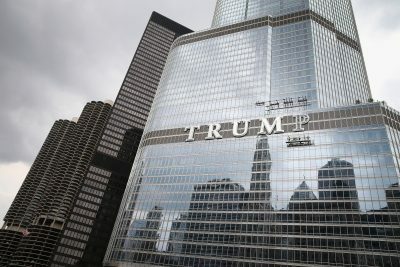 The Trump Organization, through its subsidiary 401 Wabash Ventures LLC, has appealed valuations for Trump Tower Chicago and lowered its tax bills by over $14 million dollars over the years through settlement negotiations. Not satisfied with those cuts, the Trump Organization sued, first in 2001, and then repeatedly in subsequent years. Currently, there are five open cases filed on behalf of the Trump Organization against the county, all regarding Trump Tower. The Sun-Times reported that, according to documents filed with the Cook County state attorney’s office, tax refunds from the cases could total more than $3 million. Reports by ProPublica Illinois and the Chicago Tribune show that the tax appeals system can exacerbate existing inequalities in the tax system in Illinois, in part because appeals are filed most frequently by those who can afford lawyers. Experts say they see this in many places across the country. “The trend has often been that these appeals processes have been abused by those that are already advantaged,” says Andrew Kahrl, an expert in the history of taxation and an associate professor at the University of Virginia. In Palm Beach County, Florida, the Trump Organization is suing the tax assessor over its tax bill for the Trump National Golf Course Palm Beach. The course, located in the town of Jupiter, is one of two nearby private courses the president frequents while staying at Mar-a-Lago. On his financial disclosure, Trump lists the value of the Jupiter course as $50 million. Yet in the lawsuit filed in Palm Beach County Civil Court, the company says the county’s current $19.5 million assessment “exceed[s] the market value” of the course. 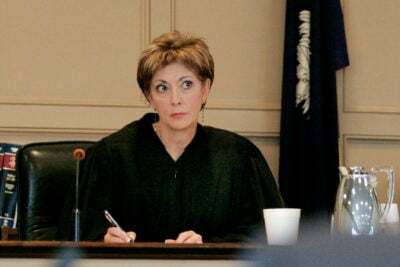 The county and its lawyer declined to comment on the ongoing litigation. The county billed the company $398,315. In December, Jupiter Golf Club paid $296,595.01, calling it a “good faith estimate” of what’s owed. 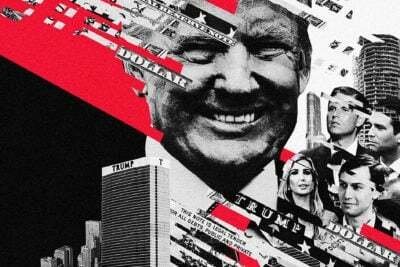 In Manhattan, the Trump Organization filed six lawsuits in New York County court over property tax assessments Trump Tower, Trump Park Avenue, and other buildings in midtown and the Upper East Side, in 2017 alone. Owners of high-value properties frequently appeal their tax bills in New York City. You can always email us at tips@trumpincpodcast.org. ”Trump, Inc.” is a production of WNYC Studios and ProPublica. Support our work by visiting donate.propublica.org or by becoming a supporting member of WNYC. Subscribe here or wherever you get your podcasts. Correction, April 11, 2018: This story has been corrected to reflect that lawsuits were filed against the Cook County treasurer's office, not the assessor’s office. It has also been updated to clarify the source of the Sun-Times’ estimation of tax refunds.